MESA COUNTY, Colo - What is a Sanctuary City or County and is Mesa County one of them? We've heard this question asked a lot lately, so here are a few facts regarding the Mesa County Sheriff's Office policies. The term "Sanctuary County” implies that the Mesa County Sheriff's Office does not share information with or allow Immigration Customs Enforcement or ICE to house arrestee’s in our facility. Both of these assertions are false. The Mesa County Sheriff’s Office revised our policy in response to a 2014 federal court opinion out of Oregon. The case is Maria Miranda-Olivares v. Clackamas County (Case No. 3:12-cv-02317-ST) and involved an inmate being held on an ICE issued detainer beyond the time she should have been released from jail on the criminal charges she had been booked on. The court in this case ruled holding the inmate in custody was a violation of the inmate’s 4th Amendment Rights because the detainer was not signed by a judge. This case prompted many Sheriff’s around the country to change their procedures and hold ICE to the same constitutional standard that every other state and federal agency is required to meet. This change would necessitate ICE to have their detainers be reviewed and approved by a judge. In Mesa County we work very hard to ensure there is good communication between ICE and the Mesa County Sheriff’s Office. Our policy requires notification to ICE when a person is booked into our jail if they were foreign born and provides a system of notification prior to release from jail that enables ICE to conduct an investigation if they choose. This policy does not establish Mesa County as a sanctuary at all but provides specific instruction on how the Mesa County Sheriff’s Office has and will continue to work with ICE. We have and would accept any arrestee brought with an order signed by a judge. MESA COUNTY, Colo -The Mesa County Sheriff's Office is working on locating the suspicious person believed to have approached two children in a white van this morning near Fruitvale. The Mesa County Sheriff's Office is following up on many leads. We thank the public for sending in tips. Deputies and investigators are working with School District 51 to ensure the safety of students. There will be extra patrols around all schools in the foreseeable future before and after school. Those patrols are starting this afternoon. He was seen driving a white van with no windows as well as rust and mud along the bottom. If you see this person or van CALL 911. DO NOT approach the van. We do not know if the subject is armed. Also there are several white vans in the area that may not be related to this incident. We don't want well intentioned people arrested for taking matters into their own hands. Parents should talk to their kids about Stranger Danger. Kids should never speak to people they don't know. If ever approached by a stranger children should run away to the nearest safe place such as a neighbor's house, or a school and tell a trusted adult immediately. For more information about this incident click here. 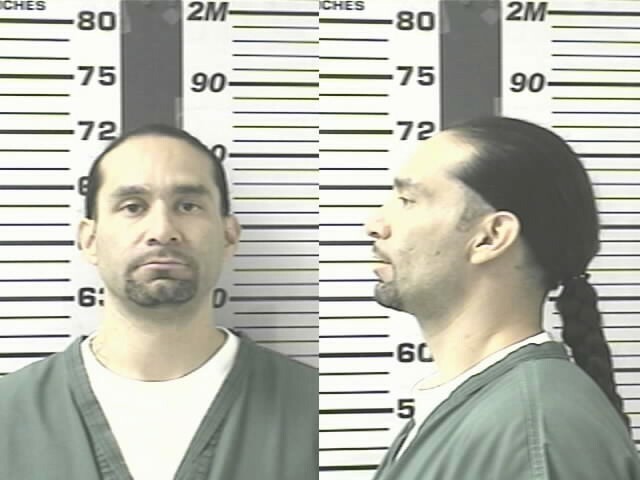 AURORA, Colo - Homicide suspect Matthew Mitchell, 37, was taken into custody overnight by the Aurora Police Department. 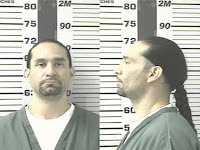 Mitchell was arrested on warrant for Murder in the First Degree out of the Mesa County Sheriff's Office. He was also arrested on a traffic warrant out of Jefferson County, and drug related charges with the Aurora Police Department. Mitchell is currently being held at the Arapahoe County Jail. The investigation into the October 16, 2016 homicide of Paul Davis is still on-going. MESA COUNTY, Colo. - Over the weekend Investigators with the Mesa County Sheriff's Office completed an arrest warrant for Matthew Mitchell. Mitchell's is wanted for Murder in the First Degree, Murder in the Second Degree, Aggravated Robbery, First Degree Burglary, Theft $5,000.00 to $20,000.00, and Possession of a Firearm by a Previous Offender. Currently Mitchell's whereabouts are unknown but we believe he is still in the 2005 dark blue Cadillac with temporary Colorado tags. He is considered armed and dangerous. If you see him or the car please notify law enforcement immediately. MESA COUNTY, Colo. – Over the past couple of days, Mesa County Sheriff’s Office Investigators, working with agencies in the Denver metro area, executed search warrants and court orders to collect non- testimonial evidence (DNA, Fingerprints). These warrants were executed in connection with the October 16, 2016 homicide of Paul Davis. Currently all the warrants and court orders are sealed. Law enforcement is still looking for Matthew Mitchell, age 37, of Littleton, as a person of interest in this case. Mitchell was last seen in Golden, Colorado, on January 4, 2017, driving a 2005 dark blue Cadillac with a temporary Colorado tag. We do not believe Mitchell is in the Grand Junction area, but if you see the vehicle please notify law enforcement immediately. Mesa County, Colo. -- An explosion on New Year's Eve at 284 28 1/2 Road lead to the arrest of Kevin Muisenga, age 27, of Grand Junction and Justin Mulloy, age 31, of Grand Junction for drug related charges to include the manufacture of hash oil. At 3:19 pm on December 31, 2016, the Grand Junction Fire Department along with the Grand Junction Police Department and Mesa County Sheriff's Office responded to 284 28 1/2 Road after receiving several reports of smoke coming from the residence. As law enforcement arrived, they spoke with Justin Mulloy. Mulloy told law enforcement, he and several others were attempting to produce marijuana concentrate (Hash Oil) using a "closed loop" system in the basement of the residence. As the product was being completed "something went wrong" and there was an explosion. Muisenga, who had been transported to the hospital for treatment, told law enforcement he was attempting to produce marijuana concentrate for the first time. When the extraction was completed, the system was being disassembled, when he heard the sound of gas being released. Muisenga attempted to run out of the basement, but before could get out there was a large explosion. During the investigation of the explosion, several pounds of completed marijuana concentrate, over 100 marijuana plants, over 50 pounds of dried marijuana, and a gallon plastic bag containing dried mushrooms were found at the residence. Mulloy was arrested and charged with Unlicensed Manufacture of Marijuana Concentrate, a class 2 felony; 4th Degree Arson, a class 4 felony; and Reckless Endangerment, a class 3 misdemeanor. Muisenga was arrested and charged with Unlicensed Manufacture of Marijuana Concentrate, a class 2 felony; Possession with Intent to Distribute Marijuana (more than 50 pounds & more than 25 pounds concentrate), a class 1 drug felony; Possession with Intent to Distribute a Schedule I/II Drug, a class 2 drug felony; Cultivation of more than 30 Plants, a class 3 drug felony; Possession of a Schedule I/II Drug, a class 4 drug felony; Possession of more than 12 ounces of marijuana or 3 ounces of marijuana concentrate, a class 4 drug felony; 4th Degree Arson, a class 4 felony; and Reckless Endangerment, a class 3 misdemeanor. Mulloy and Muisenga are being held at the Mesa County Detention Facility pending their first appearance in court. For updated bond information on any inmate currently in our detention facility, visit our Inmate Inquiry webpage.